ACADEMIC AND TECHNICAL EDUCATION DEVELOPMENT SOCIETY is located in NEW MAHE Kerala . ACADEMIC AND TECHNICAL EDUCATION DEVELOPMENT SOCIETY is registered as a Society at Thalassery of state Kerala with Ngo unique registration ID 'KL/2009/0001644' . 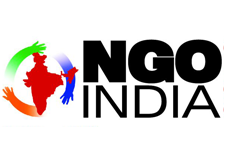 The NGO registration is done by Registrar of Societies with registration number 210/98 on the date of 18-03-1998, Its parent ORganaisation is PaulFoundation. The Chairman of ACADEMIC AND TECHNICAL EDUCATION DEVELOPMENT SOCIETY is Sunil Kumar E M and Chief functionary officer is Nirmal Raj K.
Academic and Technical Education Development Society(ATEDS) is an NGO registered under Societies Registration Act.XXI of 1860 and the area of operation is all over India. ATEDS conducting the Awareness campaigns, Vocational Training, Women and Child development camps for rural poor peoples, Food and Nutrition programmes, Women Empowerment programmes, Health education and awareness like HIV-AIDS, TB, Iodine Deficiency etc., Environmental issues like climate change, use of plastics etc., ATEDS also conducting the programmes in joint with Central social Welfare Board, Ministry of Environment and Forests, Nehru Yuva Kendra, Food and Nutrition Board, Youth Welfare Board-Kerala, Directorate of Field Publicity, Song and Drama Division, State Resource Centre-Kerala, Child Development Centre-Kerala, TB Control Society, Mass Media, Department of Health-Kerala, M.S Swaminathan Research Foundation etc.